Eco-friendly: Not harmful to the environment. I used 3 handmade natural wooden buttons that were made out of a fallen tree branch. The design on the back is an earth mandala. I added soft felt liners in the bust area to conceal and prevent discomfort from the plastic as it will be worn by the model without anything underneath. I have not made a video tutorial for this piece, but I have provided the free written pattern. Recycled plastic clothing may not be for everyone, but I enjoyed creating this unique piece for a great cause! -This project uses less than 2000 yards of yarn. -There is NO video tutorial for this project. -If the instructions are confusing, please message me on Facebook, and I will answer any questions you may have. Please be specific in your questions. Thank you!! -The measurements for this top are: Length from shoulder to bottom: 18 inches, Shoulders across: 15 inches, Waist: 34 inches, Bust 36 inches. Row 1: HDC in 3rd ch from hook and across, put [3DC, ch 1, 3DC] in last ch, work on opposite side of foundation HDC across, turn. Row 2: Ch 2 (counts as st), HDC in each st, put [2DC, ch 1, 2 DC] in ch 1 sp, HDC in the rest of the sts, turn. Outer edge: Attach plarn to bottom right corner of your piece. Ch up 3 (counts as DC), [DC, ch 2, 2DC] in same st, DC in 20 sts, HDC in 16 sts, SC in 10 sts (or the rest of the sts until ch 1 sp), [2SC, ch 1, 2SC] in ch 1 sp, SC in 10 sts, HDC in 16 sts, DC in last 20 sts (or opposite of other side), [2DC, ch 2, 2 DC] in corner, DC along the bottom side of the piece, sl st to beg. Fasten off. On one panel, start in the bottom left corner of the panel, Ch up 1, 2 SC in same sp, SC in next 10 sts, HDC in next 8 sts, DC in next 6 sts, TR in next 4 sts. Fasten off with long tail for sewing. On the other panel, start in the bottom right corner of the panel, ch up 1, 2 SC in same sp, SC in next 10 sts, HDC in next 8 sts, DC in next 6 sts, TR in next 4 sts, Fasten off. Sew both front pieces together. Row 1: Attach yarn to Bottom corner ch 2 sp, ch up 3 (counts as st), DC in same sp, DC in next 30 sts, turn. Row 2-4: Ch up 3, DC across, turn. Fasten off with long tail for sewing on one side. and short tail on the other side. Weave in the end of the short tail. Ch 6, sl st to 1st ch to form a ring. Rnd 4: In any ch 3 sp, Ch up 3, DC in same sp, *ch 1, 2 DC in next ch 3 sp, repeat from * around, sl st to first ch up 3. Rnd 5: Ch up 1, HDC in same st, HDC in each st and each ch 1 sp around, sl st to first HDC. Rnd 7: In ch 2 sp: Ch up 3, [DC, ch 2, 2 DC] in same sp, *DC in each st across, [2DC, ch 2, 2 DC] in corner, repeat from * around. Sl st to beg ch up 3. Rows 2-4: Ch up 3, DC across, turn. Fasten off with weave in ends. Rows 2-5: Ch up 3, DC across, turn. Sew buttons to row 5 of the Right Side. Sew pieces together using photos as a guide. FDC until your piece is 15 inches (36 Foundation DC) Fasten off with long tail. Add felt in the bust area by gluing it in. See how great this piece looks?! I love it!! We all collect bags from various shopping centers. If you don’t have an option for paper bags at your local stores or if you don’t carry-in your personal market bags, you end up stock-piling a collection of plastic bags that can one day end up in our landfills. BOOOO!! We don’t want that!!! So, what do we do with this accumulation? Well, I’ve got a solution! I did an experiment to make my own reusable market bag recycling about 35 plastic bags. Once you determine what you plan to make, and you have accumulated a significant amount of plastic, the biggest “chore” of this entire project is cutting the strips to make the plarn. In this case, I use the term “chore” lightly. This literally takes little to no time, but I find it to be the one thing most people complain about. I followed the instructions in this link to make my plarn. This information is very helpful in helping you create the amount of plarn needed for your project! Once my plarn was cut, I rolled each bag up into a ball of plarn! I used a variety of Target bags and some gray grocery bags. I used a J-6.00mm crochet hook and a single crochet method to make this bag. These are very easy to make and end up being very durable! There are various tutorials online to show you how to make your own! Then, you’re all set to use your new bag the next time you go to the market! I gave this one to my sister-in-law and she uses it ever summer at the farmers market! Use this idea on a smaller scale to make your own lunch bag or for other creative ideas using plarn! Enjoy!! Have you tried this technique before? Share what you’ve made with plarn in the comments section!! Summer is coming! Today’s style inspiration is the unique look of Boho Chic. Some fashion trends come and go, but a few styles will always be fashionable. Boho-style is just one of those fashions that are so versatile that will always be a trend for everyone! Awaken your free spirit and bring that vibe to life! With Bohemian influences, my bohostyle chic 3 in 1 Wrap is all about adding that natural element to your wardrobe, and giving you that confidence to just feel free! Wrap it in your hair or around your head for that beautiful Bohemian look, wrap it around your neck for a perfect summer accent, or use it as a sash around your waist to accentuate that flowing summer dress! The earth tones, cotton fibre, and floral embellished tassels make this a wardrobe win in so many ways! Bring out your inner flowerchild with this awesome accessory! –Cotton Yarn in 6 or 7 different colors of your choice. You can buy any of the items in this kit. Buy all or buy one item. Check it out to see the supplies you can get online to make this wrap! Rnd 3: Ch 1, [SC, HDC, DC, HDC, SC] in each ch sp around. Sl st to first sc. Attach yarn to point, [SC, ch 4, SC] in point, *Ch 4, sk 1 row, SC around post of next row (see video tutorial for visual instructions), repeat from * around putting [SC, ch 4, SC] in the opposite point. Sl st to first SC. My Happy Hubert the Hippo Pillow is here!! This fun and cuddly cushion is the perfect size for your little one to curl up with! A great accent throw for a nursery or kids room! 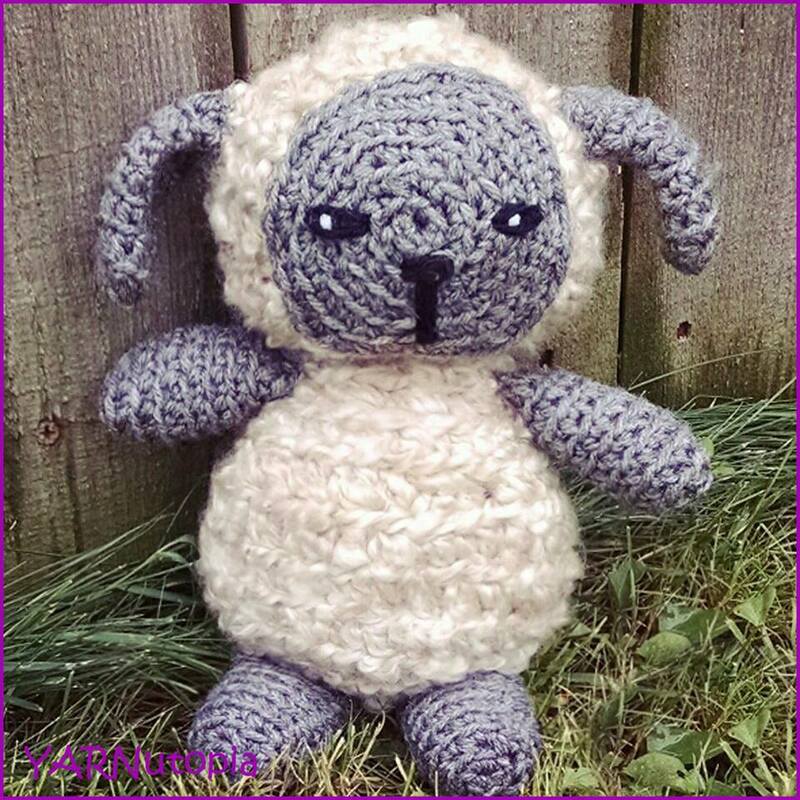 Check out this free pattern and video tutorial! You can buy any of the items in this kit. Buy all or buy one item. Check it out to see the supplies you can get online to make this pillow! Sew all the pieces together and to the pillow. See video tutorial for visual instructions. Wear this with “Cat-titude” and I am “Paws-itive” this Kitty Cat Crochet Poncho is the “Purr-fect” way to start “Feline” “Claw-some”! Happy “Caturday” Everyone! The FREE WRITTEN PATTERN AND VIDEO TUTORIAL IS FINALLY HERE!!! Isn’t it “meow-nificent”? You can buy any of the items in this kit. Buy all or buy one item. Check it out to see the supplies you can get online to make this poncho! -This project uses 1,220 yards of yarn. I am making the size Small/Medium. Keep reading to learn how to make this smaller or bigger. -Your starting chain should be any multiple of 5 (I start with 75, you can start with 65, 75, 85, 95), Round 2 increases 5 stitches evenly. Rounds 3, 4, 5, 6, 7, 8, 9, and 10 increase by 10 stitches evenly each round. If you need to increase more, you can continue with the established pattern of increases and then go onto the instructions for the front of the poncho and the back of the poncho to create the front slits. -If you want to make this smaller, stop increasing at any round (maybe round 5 or 6 so you have about 120 sts), then go onto instructions on making the front and back of the poncho. -TURN YOUR WORK FOR EACH ROW!!! -Please know you can make this bigger or smaller with very few mathematical changes. If you need to make this bigger, here is the start of the pattern for a foundation chain of 85. And so on.. I hope this makes sense and you are able to make this poncho. After Round 6, it is the established pattern to increase however big you need the poncho to be. Then you can go on to making the slits. Continue with the established increase until your piece is wide enough, then go onto the instructions for round 11. Row 27-36: Ch 3, DC in each st across, turn. (60) Work these rows until it is 5 inches from row 26. You can end early if you want, or continue working rows to make it longer. Rows 27-36: Ch 3, DC in each st across, turn. (100) Work these rows until it is 5 inches from row 26. You can end early if you want, or continue working rows to make it equal to the front of the poncho. Row 2-26: Ch 3, DC in each st across. Turn. Continue working rows until the hood measures 15 inches. Continue to SC around 3 sides, Fasten off with long tail for sewing. Make paw prints before sewing pockets to poncho. Sew paws to pockets, then sew pockets to poncho. Fasten off with extra long tail for sewing. Sew button to bottom of poncho in the back. Attach tail to poncho. Be sure to sew all your pieces to your poncho and weave in all the ends. Here is a ONE STOP for all 4 of the Woodland Character Masks! Click on Each photo or link above the photo to take you to its video tutorial and written pattern. For anyone who has a little one who loves to play dress up, this fox is so fun to expand their imagination! Just in time for Easter, these are perfect for masquerade play, character building, and pretend activities! Great for many occasions!!! The possibilities are endless! I was inspired by a link I saw on Pinterest and thought these would be fun in crochet. These would make great learning tools for kids, teaching them drama, acting, and role play! It’s great for schools, small play groups! Someone on Facebook mentioned these would be great for children’s hospitals. They are easy to wear and comfortable! Rows 15-19: SC in each st across, ch 1, turn. Row 20: SC across, and continue to SC around entire piece. Rnd 1: 6 SC in 2nd ch from hook, sl st to first st.
Rnd 2: Ch 3 (counts as st), DC in same st, [HDC, SC] in next, [SC, HDC] in next, 2 DC in next, [HDC, SC] in next, [SC, HDC] in next, Sl st to ch 3. Row 8: HDC in 1st st, Ch 9, Sk 7 sts, HDC in last 3 sts. Row 9: SC across and continue to SC around entire piece. Fasten off with long tail for sewing. For anyone who has a little one who loves to play dress up, this owl is so fun to expand their imagination! Just in time for Easter, these are perfect for masquerade play, character building, and pretend activities! Great for many occasions!!! The possibilities are endless! I was inspired by a link I saw on Pinterest and thought these would be fun in crochet. These would make great learning tools for kids, teaching them drama, acting, and role play! It’s great for schools, small play groups! Someone on Facebook mentioned these would be great for children’s hospitals. They are easy to wear and comfortable! Rows 9-11: SC across, ch 1, turn. Row 5: HDC in 1st st, Ch 9, Sk 7 sts, HDC in 6 sts, Ch 9, Sk 7 sts, HDC in last st, ch 1, turn. For anyone who has a little one who loves to play dress up, this fawn is so fun to expand their imagination! Just in time for Easter, these are perfect for masquerade play, character building, and pretend activities! Great for many occasions!!! The possibilities are endless! I was inspired by a link I saw on Pinterest and thought these would be fun in crochet. These would make great learning tools for kids, teaching them drama, acting, and role play! It’s great for schools, small play groups! Someone on Facebook mentioned these would be great for children’s hospitals. They are easy to wear and comfortable! Row 5: HDC in 1st st, Ch 9, Sk 6 sts, HDC in last 4 sts, ch 1, turn. Row 6: SC in each st and each ch across. Row 5: HDC in 1st 4 sts, Ch 9, Sk 6 sts, HDC in last st, ch 1, turn. Rnd 1: 6 SC in 2nd ch from hook. Sl st to first st. Fasten off.